(Lexington, Kentucky - Tuesday, January 11, 2017) - The National Thoroughbred Racing Association (NTRA) today announced that a system has been established at https://www.ntra.com/comment for individuals to submit an e-mail comment directly to the United States Treasury Department in support of newly proposed regulations related to withholding and reporting of pari-mutuel winnings. The Texas Horsemen's Partnership encourages its members to use the system to submit an email comment in support of the proposed regulations. The proposed regulations, which would replace outdated regulations adopted nearly 40 years ago, more accurately reflect today's pari-mutuel wagering environment and will positively impact a significant percentage of winning wagers, particularly those involving multi-horse or multi-race exotic wagers. It is believed that the proposed changes will result in tens of millions of dollars in additional pari-mutuel wagering annually. If adopted, the new regulations will not only promote greater compliance and more accurate reporting and withholding by taxpayers but also reduce burdensome and needless paperwork system-wide. Efforts spearheaded by the NTRA on behalf of the industry over the past two and a half years came to fruition on December 30 when Treasury and the Internal Revenue Service (IRS) published proposed guidelines designed to modernize withholding and reporting regulations. The 31-page Treasury document, "Withholding on Payments of Certain Gambling Winnings," clarifies the phrase "the amount of the wager" to include the entire amount wagered into a specific pari-mutuel pool by an individual - not just the winning base unit as is the case today. 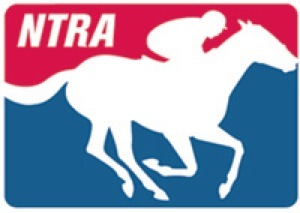 In the NTRA's official response to Treasury on behalf of the industry, submitted Wednesday, NTRA President and CEO Alex Waldrop thanked the Treasury and IRS for recognizing the need to modernize regulations related to the withholding and reporting of pari-mutuel winnings and noted that the newly proposed regulations sufficiently address the industry's concerns. Waldrop asked the Treasury and IRS to enact the new regulations as quickly as possible following a 90-day comment period that concludes on March 30. "With horseracing's all-important Triple Crown season fast approaching, the NTRA urges Treasury and the Service to adopt the proposed regulations as final regulations as soon as it is administratively feasible. Horseplayers, tracks and other industry stakeholders, including governments, are eager to begin reaping the benefits that will result from these updated withholding and reporting rules," Waldrop said. The public comment system at NTRA.com/comment provides each commenter with a clear, consistent message asking Treasury to adopt the proposed regulations and urging prompt action. "A unified message of support is critical as the industry urges Treasury and the IRS to finalize the proposed regulations," Waldrop added. "We ask all who participate in the horse racing industry to submit a comment to Treasury and the IRS using the NTRA system so that we can send the message loud and clear that all of horse racing supports these changes."